Located in the heart of Rosslyn is a luxury boutique condominium known as The Weslie. In truth, it’s not that striking from the outside—a boxy, greyish brick affair with a utilitarian vibe. But the residences inside are quite remarkable with two-to-three levels of living space, soaring ceilings and balconies with spectacular views of the nearby Potomac River. 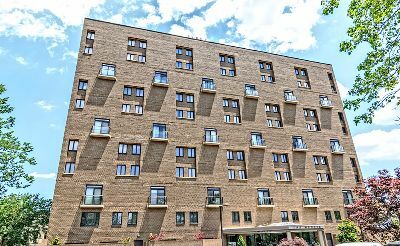 Delivered in 1981, this 10-story cube is home to just 40 spacious residences. There were originally 42 units but that was before four condos were converted into two super-sized homes. The building can be found at 1401 Oak Street N at the corner of Oak and 14th Street N in Arlington, Virginia. The Weslie is known for its two-story great rooms with sliders opening out to large terraces. The view from those private spaces is quite spectacular—this is a great place to be on the night of July 4, when Washington DC unleashes its annual fireworks display over the river. 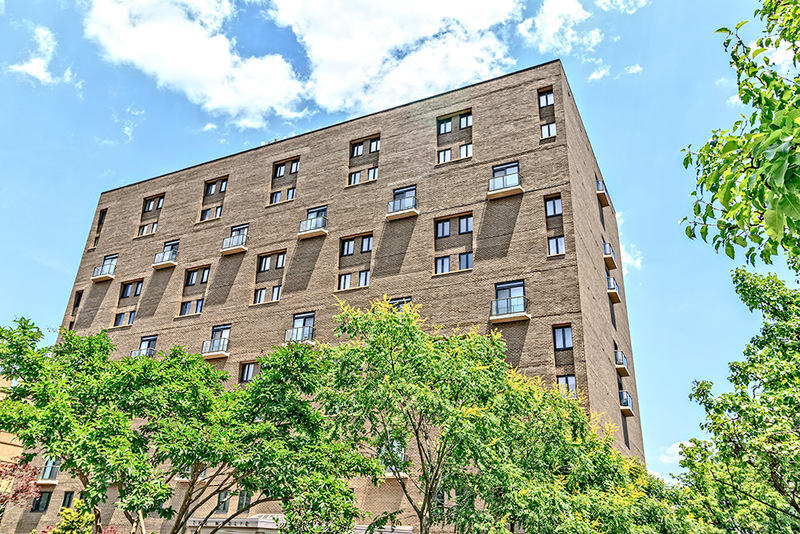 There are plenty of luxury condos for sale in the Washington Metro area but The Weslie indeed stands out, with one, two and three-b edroom models ranging from 1,100 to about 2,190 square feet. The two extra-big residences are around 4,140 square feet in size. Step inside any of the condos and you’ll find an unusual attention to detail. Split-level layouts are common, sometimes with a dining room looking out over the main room below. Floors come in various hardwoods, Italian marble, tile and carpet, while the kitchens are huge and very well appointed. The baths are also quite sumptuous. Despite its ordinary appearance from the street, The Weslie has a reputation as one of Arlington’s most exclusive, secluded and even secretive condos communities. All units have private outdoor spaces, from patios on the ground floor to the previously mentioned terraces. As for common amenities, residences enjoy a recently redone lobby with front desk and 24/7 concierge service, monitored security, secure underground parking, extra guest parking, a fitness center, rooftop patio and lush landscaping. Weslie condos for sale have recently listed between $700,000 and $2 million. The overall location is also terrific. Rosslyn is one of the urban bookend communities that make up the red-hot Rosslyn-Ballston Corridor. The neighborhood is home to some of the tallest buildings in the entire DC Metropolitan area, including luxury condo high-rises like Turnberry Tower and The Waterview. The Rosslyn Metro Station is close by, as are popular bars and restaurants such as the Continental Pool Lounge, Guajillo, Ray’s Hell-Burger, Amuse, Pho 75, Heavy Seas Alehouse and Café Assorti.